Bright and bold! #1 seller, duh. 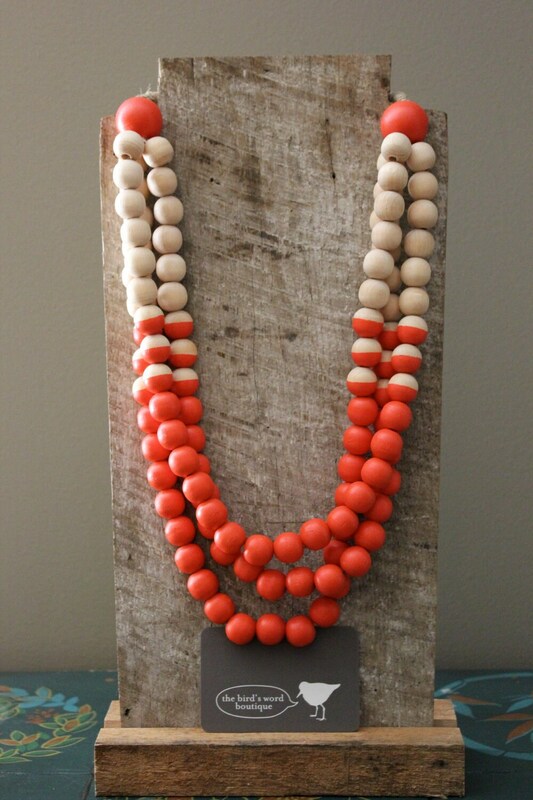 Bright Poppy Red wooden beads fade to unfinished wood. 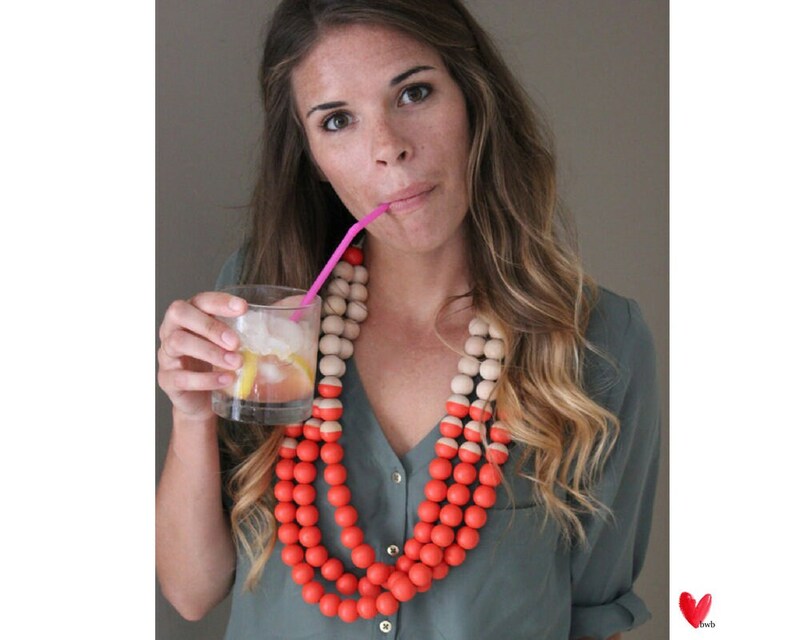 Fantastic necklace. A real statement piece that is great for casual outfits.